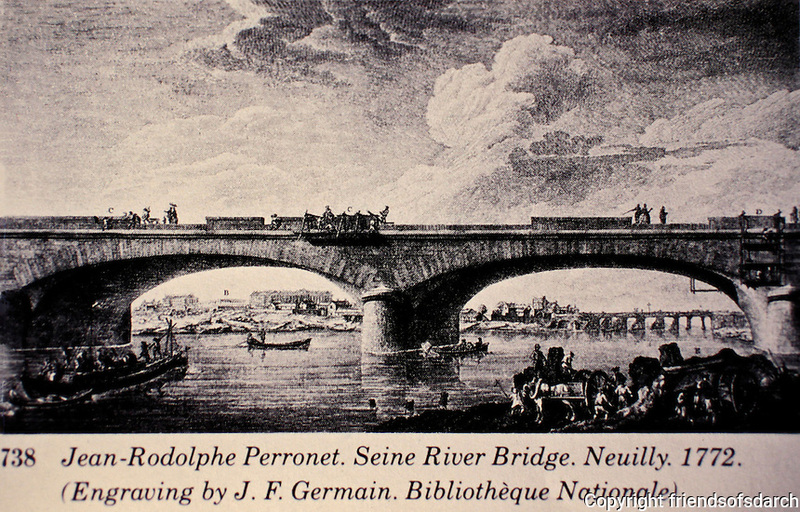 Seine River Bridge, Neuilly, 1772. Jean-Rodolphe Perronet. Historical engraving by J. F. Germain. Bibliotheque Nationale.